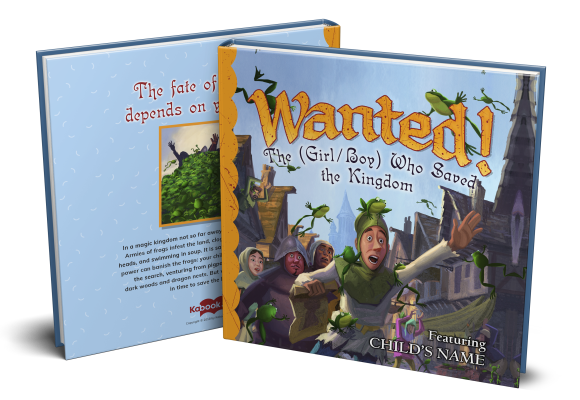 One-Of-A-Kind Children's Books | Kabook! The Kabook! Experience: The land of the Oogies is filled with silly beasts and wild monsters that love adventure . . . and mischief. 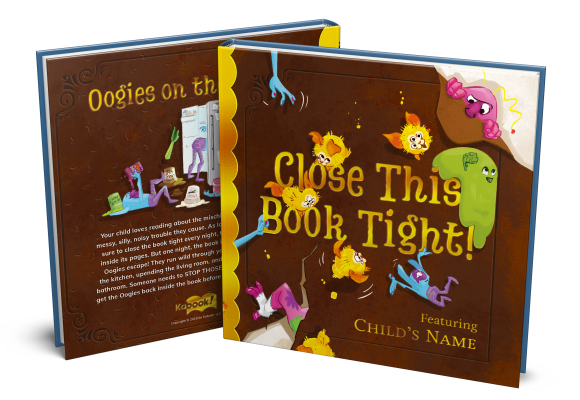 All is well as long as the Oogies stay within the confines of their storybook world – but when the Oogies escape into the real world, the real trouble begins. Can your child wrangle the Oogies and restore order? Find out with our quickest book to build - there is no photo required but you have the option to add one if you would like. The Kabook! Experience: In a magic kingdom not too far away, armies of frogs are invading and only (gulp!) one child can possibly help! This mind-blowing story only requires one photo (you can take a new one or upload one from your library) that search parties will use to scour the kingdom for the chosen child. 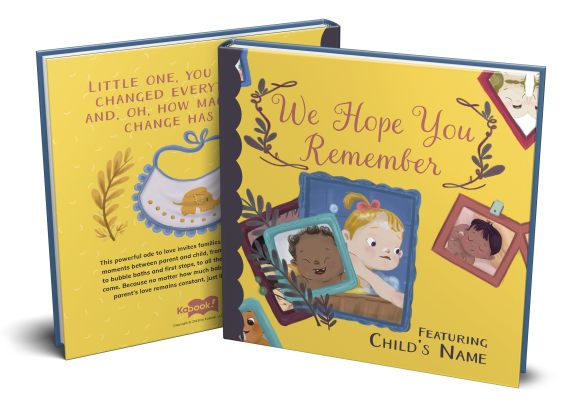 You will also need to provide details (such as favorite food, favorite song, etc) that will be incorporated into the story to make sure the one true child is identified! Minimum effort for this one. Maximum reward! The Kabook! Experience: This powerful ode to love invites families to celebrate the special moments between parent and child, from hiccups and snuggles to bubble baths and first steps, and all the wondrous times yet to come. To create a gorgeous and personalized baby gift, simply input the new baby’s name and upload a single photo. A really quick but unique and distinctive gift that will be cherished for a lifetime. The perfect gift for a Mom or Dad on an anniversary, Valentine’s Day, Mother’s Day, or Father’s Day. Or a great gift for children - at ages 3-5, or as a graduation gift, wedding gift, or pregnancy gift. Either way, Mom or Dad will need tissues. Only requires two photos, but allows for a dozen photos, if preferred. The Kabook! Experience: Arggh! 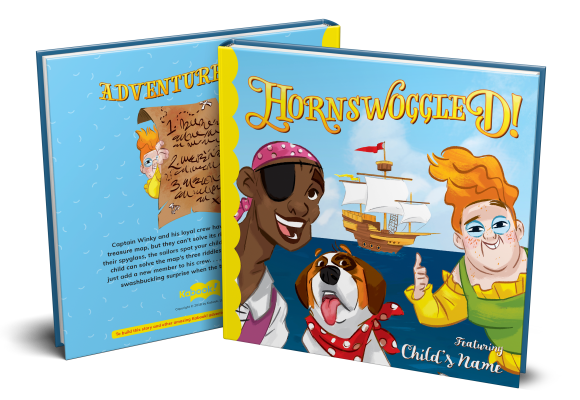 Thar be pirates that need your child’s help solving riddles to find their buried treasure. Everyone is in for a surprise when instead of treasure, the chest contains a kissy tickle monster (mom, dad, grandparent, etc.)! The Kabook! Experience: Everyone knows that Santa Claus keeps a list of who has been naughty or nice. But you may not know that it’s up to Sprig and Holly, the elves in Records and Accounting, to keep the List safe. Only this year, your child’s page has gone missing! 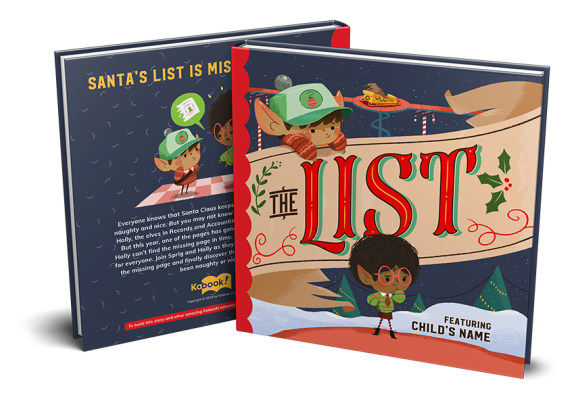 Join Sprig and Holly as they scour the North Pole for the missing page and finally discover the truth – has your child been naughty or nice?